Grower-owners at every level of the supply chain know the benefits of real ownership, sustainability and strength in numbers. For more than 100 years, cooperatives have proven successful for the entire agricultural industry. One of the greatest advantages to the cooperative business structure is vertical integration. Through vertical integration – being part of multiple local and regional co-ops – each level of the supply chain allows more ownership, and ultimately – added value. By investing in multiple cooperatives, grower-owners are able to reap the rewards of greater sustainability with dividends from each local and regional co-op in which they invest. As often discussed in articles, blogs and social media at The Co-op Advantage®️, an investment in your local and regional co-ops now, is an investment in your future. No matter what level of the supply chain in which you work, it’s important to consider becoming a co-op member at every level. Why? Because you’ll gain value at every level working for you – year in and year out. Meadow Co-op Gin Manager Dan Jackson explained why he believes it’s important to be vertically integrated throughout the supply chain. 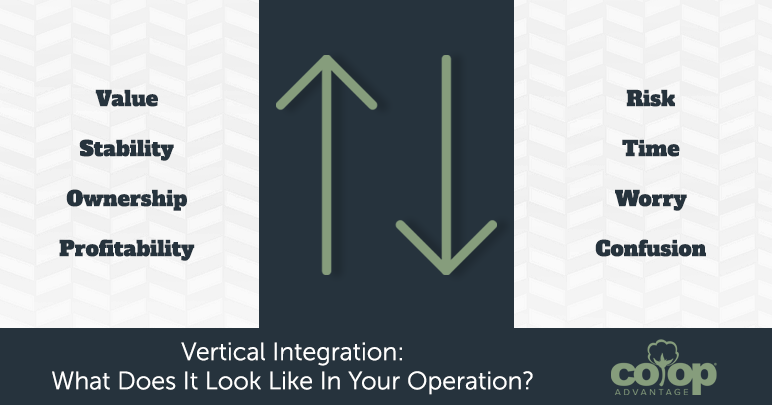 Vertical integration has been a proven system for decades, assisting those across the supply chain. What does your operation look like? If you’ve invested in multiple co-ops within your level of the supply chain, think about all other levels and how they, too, can add value and sustainability to your business. 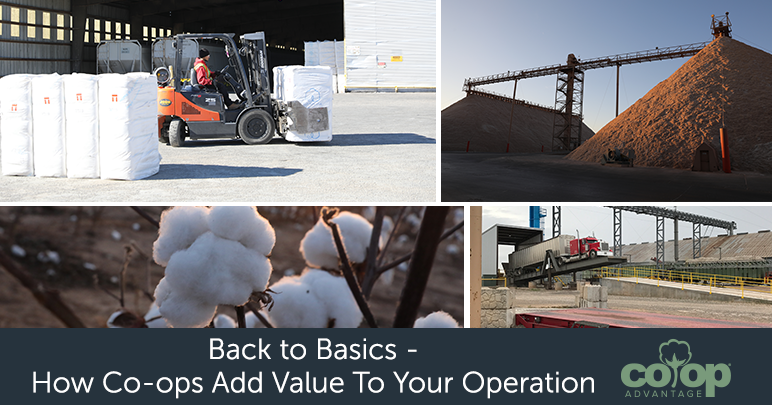 From producing to ginning and warehousing to marketing and cottonseed processing – each level of the supply chain can benefit you by becoming a member of multiple local and regional cooperatives. Each level of the supply chain benefits you, and so too, does the vertical integration of being a co-op member at all levels. As grower-owners know, each season is unpredictable. Investing at each vertical level of the supply chain will better ensure you, your family and your future are protected.